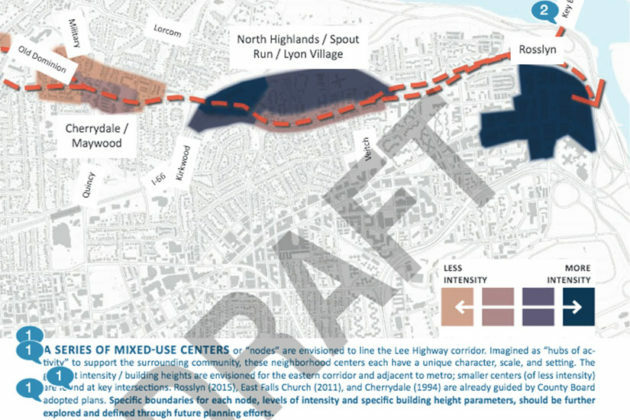 (Updated at 12:40 p.m.) The public comment period on a draft plan for the Lee Highway corridor is ending after Thursday. 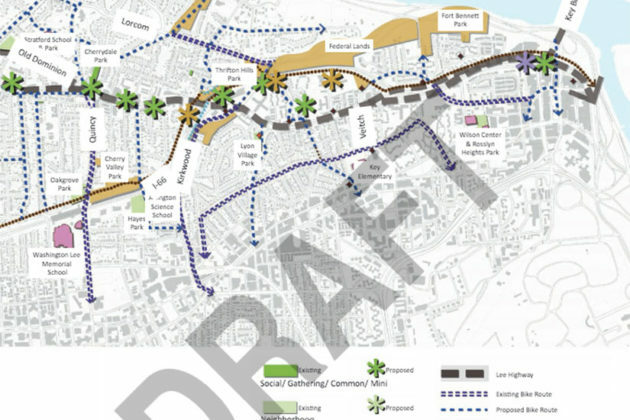 The draft, first published online last month after a public “charrette” planning process in 2015, outlines a sweeping vision for the corridor, which currently is a primarily car-oriented mish-mash of strip malls, aging apartment buildings and other assorted low-density businesses and infrastructure. 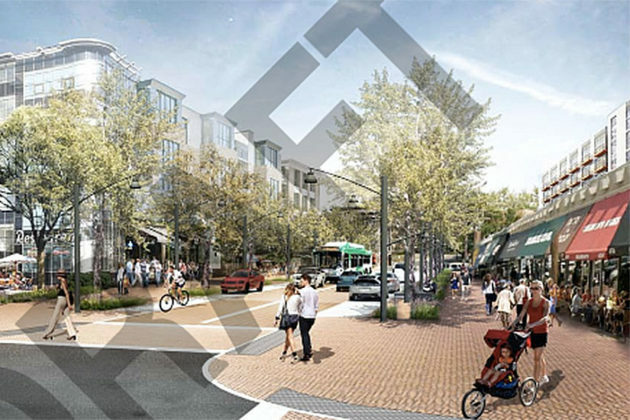 New apartment buildings, townhouses and retail hubs would be encouraged to spring up. New parks and bus service would be added. 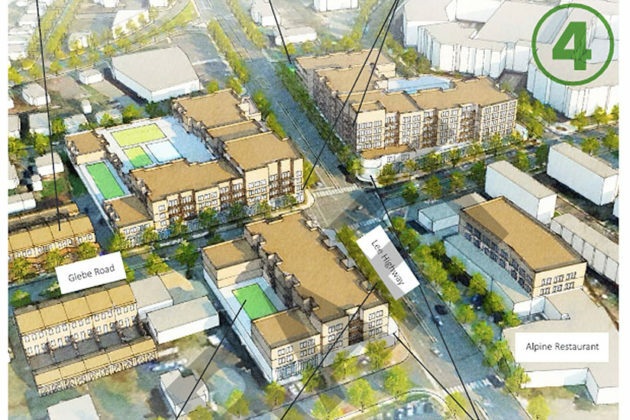 Building heights up to 12 stories are discussed, though 3-6 stories would be more common; the taller buildings would be along Lee Highway itself and “sensitive transitions to single family neighborhoods” would be emphasized. Changes are expected to be made to the plan based on feedback received online, before the County Board reviews it in May. 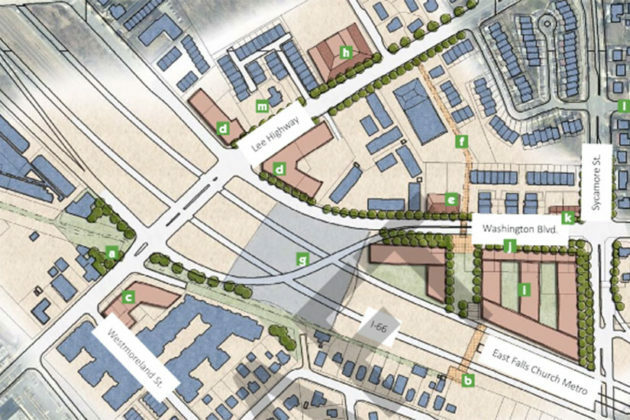 Greater Greater Washington has more details about the Lee Highway plan and process. Other notes and quotes from the draft plan, after the jump. Participants were split on whether bike infrastructure should be on Lee Highway itself or on parallel routes. 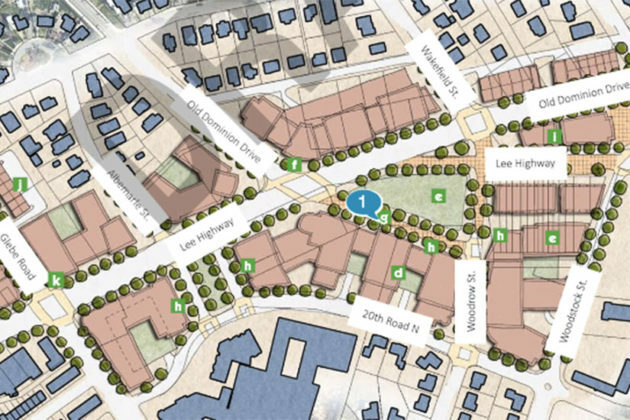 In the Lyon Village node, up to 3,000 new residential units possible via in-fill development alone (no residences torn down). 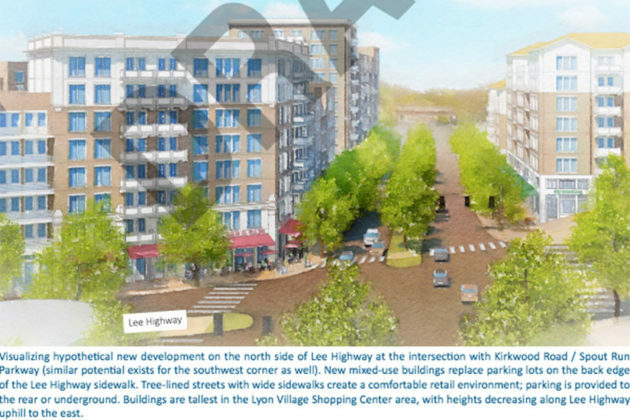 A redevelopment or reconfiguration of the Safeway/Sleepy’s site is possible in the Lee Harrison area. The plan includes the goal of preserving and creating more affordable housing. 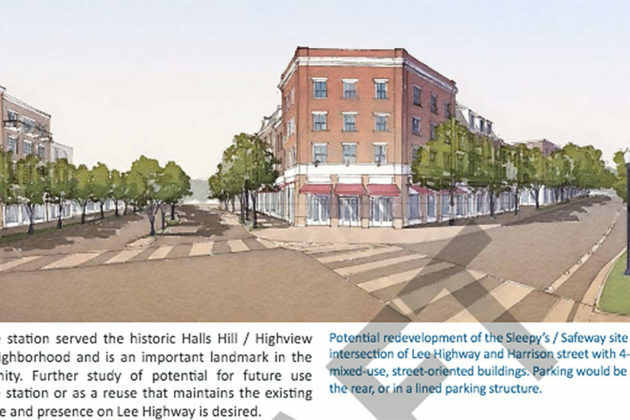 The plan also aims to preserve “sites of historic significance.” On such site was identified as the Lee Heights Shopping Center. 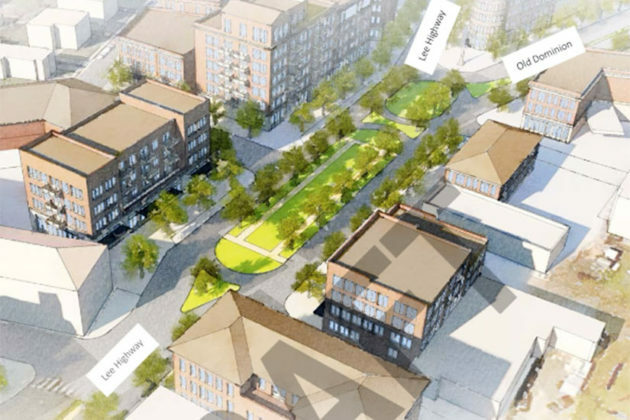 The existing shopping center would be preserved, while a park or a mixed-use development could be built across the street in order to encourage more pedestrian activity.